Ground shipping London and UK has been a significant element of the freight network thanks to the flawless roads and variation of hauliers. Ground shipping also known as road haulage or overland transportation is referring to relocation of goods using the land infrastructures and roads and rails. This is the most economical choice of transport where the distance allows. It has also been identified as one most cost-effective mode of transport. Milky Way Logistics Limited as a London based fast growing freight forwarder, focuses on freight and logistics services and covers ground shipping London and all over UK to Europe and all other possible destinations. One vital push in ground shipping is being part of the main network associations of road hauliers. 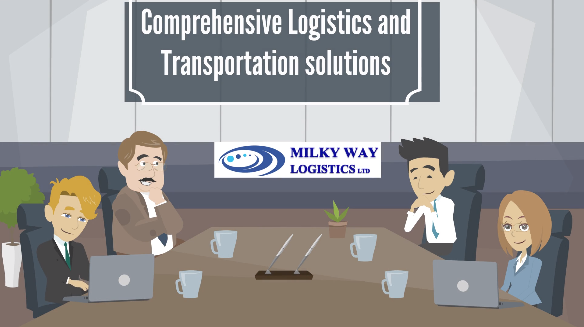 For Milky Way Logistics Limited, being part of the most prominent networks and freight associations, marked in the field as provider od World class logistics services and unique value ground shipping London, UK, Europe and across the World. Our Ground shipping London service covers any size of shipment ranging from single small packages within a minivan up to large and regular commercial services of tonnes of weight within large trucks and trailers. Milky Way Logistics Limited which is a logistics company in UK specialised in ground shipping offering services ranging in LTL, FTL, LCL, FCL and etc at its guaranteed best transit time and most competitive rates. Depending on the trade term between supplier and buyer (INCOTERMS), Milky Way Logistics Limited, as a professional logistics planner could help with the International transport requirements of the contract at any stage of the business offering top quality services of planning, designing, custom, delivery and insurance as well as documentation (CRM, FCR, etc). For the course of ground shipping to be in a level and comfortable practice, a proficient know-how freight forwarder could help identifying rules such as restricted items, VAT, custom, duty, excise duty, insurance and etc and plan the most cost and time effective transport route.